We're very proud to announce the newest addition to our fleet: The 2015 Lincoln MKS! Our new 2015 Lincoln MKS comes equipped with a variety of luxurious features and amenities that we are confident will make it a client favorite. The old land yacht Lincoln Town car, with its insane leg room, gigantic trunk, and cloud soft ride used to be the undeniable truth in luxury transportation. Just like when you think of hockey you think of Wayne Gretzky, when you think of Basketball, it's Michael Jordan, and when you think of garbage, you think of Akeem. Thinking of limousines will almost undoubtedly conjure up images of black Lincoln Town Cars. They are (were) truly iconic. It goes without saying that in 2011, when the Town Car was discontinued, we all collectively flipped our chauffeur lids. The answer was (and still is) no longer so obvious. 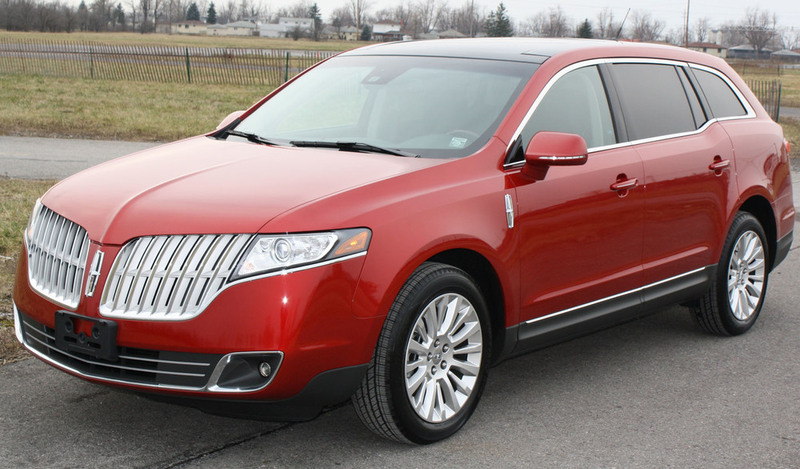 Lincoln introduced the MKT, dubbing it the "official" successor to the Town Car, but I think if we're all being honest here, it's looking pretty "unofficial" as far as styling goes. Bleh. This industry as a whole is now faced with finding vehicles to fill the void. If you're a frequent traveler, you've most likely seen (or been driven in) the Cadillac XTS, Lincoln MKS, Chrysler 300, Ford Flex, Toyota Avalon, BMW 5 series, Mercedes E-Class and, in some places, the Hyundai Equus/Genesis, amongst others. There's clearly more options than ever, so it really comes down to the preference of the limo service. We chose the MKS because it felt better riding around in the back seat than any of the other cars we tested. The MKS felt more spacious and the ride was just a bit more comfortable/quiet than the others tested. I'm not about to go into specs, dimensions, etc. because I don't think it matters. In the end, after having narrowed it down to the '15 Cadillac XTS, '15 Chrysler 300, and the '15 Hyundai Genesis, the MKS won out for us because of that. Does that mean the search for the perfect Town Car replacement is over? No. At least I don't think so. These cars, as beautiful and comfortable as they are, are still placeholders for what's to come for the luxury chauffeured transportation market, in my opinion. Lincoln has definitely shown us a glimpse of some "whats to come" at the NY Auto show recently with it's eye-catching, attention-grabbing, Continental Concept (slated for a release sometime in 2016). We're pretty excited for that one. OK, so are you done telling us why you picked this car? I mean, it's just a car! The thing is this, though: What we pick you up in, while it might not matter THAT much to you, matters VERY much to us. Most of our clients will tell us "if the car is clean, on time, and you guys smell good and communicate effectively, that's good enough!". And those things ARE important! But we are not content with stopping there. We are always seeking ways to take a good ride and make it great. Even if it's a tiny detail, we look at it. Even if you say it doesn't matter "that much", we look at that, too! And if part of that commitment to being attentive for your sake involves going out of our way to make countless car salesman feel awkward, as we ask to sit in the back while they drive around so that we can listen to our rears and make a final decision on our next sedan, so be it! Call @ (732) 444-8608 or drop us a line @ info@blackrocklimonj.com and book our new MKS for a ride today! Looking forward to your next ride!